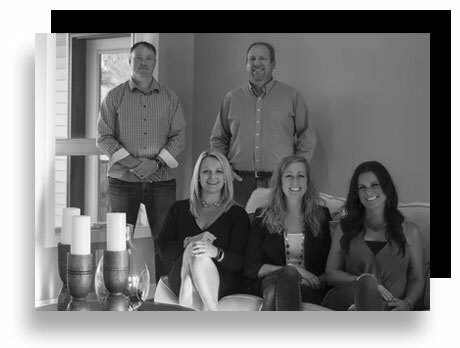 Meier Companies is more than just a homebuilder; we are a team of innovative professionals continuously pushing the boundaries in our industry. Homes and land including residential and commercial REAL ESTATE in the Rochester, MN area markets can be difficult to find, but not with us. Our residential inventory is increasing monthly with more building sites becoming readily available in our expanding communities. Meier Companies, Inc. Developments are offering more lots and homes to choose from in Byron, Oronoco, Rochester, Stewartville, Kasson, Eyota, and the Zumbrota communities of SE Minnesota. Meier Companies has earned a reputation for exceptional homebuilding & customer satisfaction. When you choose us, you are choosing to work with a builder that is your partner throughout the process and is committed to creating the home of your dreams. We are dedicated to your project and promise to provide you with a positive home building experience. From our talented designers who will work to understand your unique vision and create a custom design to our quality craftsman and onsite project managers who will bring that design to life, our team of experienced professionals will guide you every step of the way. At Meier Companies, we are not only committed to ensuring the quality of the homes we build, but also the neighborhoods we choose to build in. As a locally owned and operated Minnesota home builder, we carefully select our new home communities based on the amenities and features our buyers desire. All of our homes share a harmonious sense of community a continuity in architectural style and land planning. This allows us to contribute to beautiful, enduring communities. Meier Companies is a full-service boutique real estate brokerage serving Rochester, MN and the surrounding areas. From commercial to residential properties, we address all aspects of your real estate experience completely in-house. As active members of the Southeast MN Association of Realtors, our agents understand the local markets & have over 20 years of experience with excellent marketing expertise. From social media to internet optimization & cloud-based transaction management, we take a modern approach to Real Estate. Our clients receive expert guidance from start to finish, ensuring that the entire process is seamless, efficient, rewarding. Whether you’re selling, buying, or building give us a call today.